Finely crafted pet food & treats. Offer your dog and cat the variety they deserve. Fromm has designed an entire line to complement one another allowing you to switch between and combine recipes. Your dog and cats dining experience will never be the same again. Four-Star dry recipes for dogs and cats offer the highest inclusion levels of meat, fish, fresh fruit, and fresh vegetables. If you asked a four-star restaurant to prepare a fine meal for your pet, they might come up with a recipe as good as Fromm Four-Star. 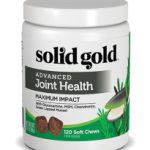 A holistic approach to complete and balanced nutrition for dogs and cats. Prepared in small batches with fresh ingredients delivered daily, Fromm Gold dry recipes feature duck, chicken and lamb combined with fresh whole eggs and real Wisconsin cheese. 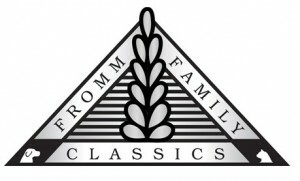 Lots of families pass down classics from generation to generation, Fromm’s happen to be recipes for pet food. Prepared in small batches with fresh ingredients delivered daily, these Classic family recipes feature chicken combined with brown rice, fresh whole eggs and real Wisconsin cheese. Fromm Family Foods schedules production around the delivery of fresh ingredients. Fresh meat and fish are delivered the morning of production to create the freshest final product possible. In lieu of baking, which can damage nutrients with high temperatures; Fromm’s use a low-temperature, high-moisture extrusion process that assures that all starch is thoroughly cooked, and that no damage occurs to the proteins. Fromm recipes contain only USDA-inspected ingredients. 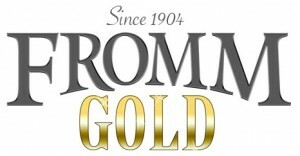 Fromm prepares the dry recipes at their own USDA-inspected plant in Wisconsin. Every delivery of raw ingredients is thoroughly inspected by their team of quality control experts. Each recipe is prepared in small batches at the Fromm family run plant in Wisconsin. Overseeing every aspect of production from start to finish ensuring each step measures up to the Fromm standards. All recipes are wheat free, corn free, and by-product free. All meat and fish are free of any hormones or medications. 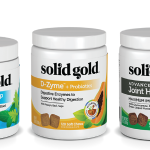 All products contain no artificial or industrial preservatives. For assistance in choosing a food for your pet, please contact us.